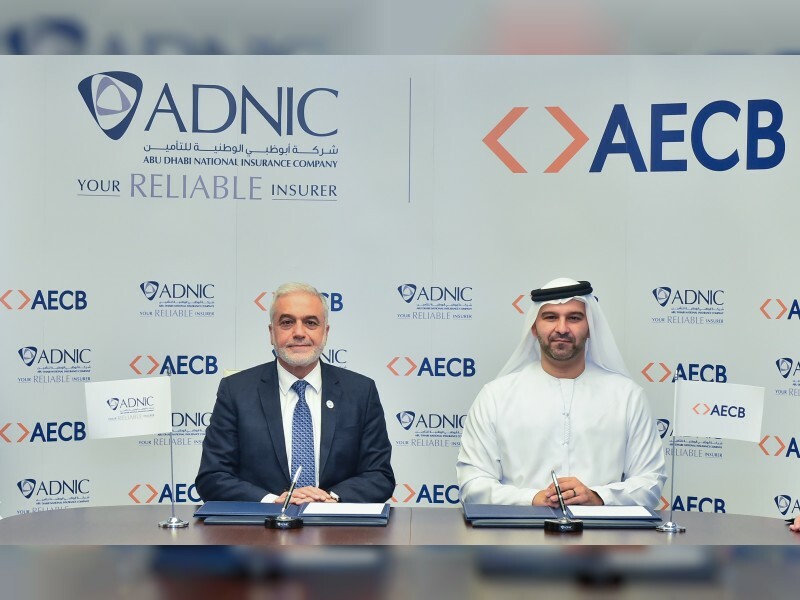 ABU DHABI, 9th October, 2018 (WAM) -- In a pioneering move for the insurance industry, Abu Dhabi National Insurance Company (ADNIC), one of the leading regional multi-line insurance providers for corporates and individuals, has announced it will utilise Al Etihad Credit Bureau (AECB) products. As per UAE Federal Law No. (6) of 2010 concerning Credit Information, AECB regularly collects credit information from financial and non-financial institutions in the UAE. This information is used to produce Credit Reports and Credit Scores that are made available to individuals and companies in the UAE. Ahmad Idris, ADNIC CEO said: "The use of AECB’s products is in line with ADNIC’s mission to implement international best practice and further strengthens our ability to control and manage credit risk exposure in our operations. The move reaffirms our position as one of the leading companies in adopting innovative solutions in the insurance industry." Marwan Ahmed Lutfi, CEO of AECB said: "In addition to banks, finance companies and Telecom companies, several non-financial institutions are currently using AECB’s Credit Reports and Scores and other innovative value-added products to better manage credit risk and reward payments with good credit history. With ADNIC being the first insurance company to subscribe with AECB, we believe that both Insurers and Reinsurers will value the use of AECB’s Credit Reports and Scores, thus enabling them to differentiate the service offerings towards clients who hold good credit history." Using credit rating and credit scores for better risk management is well-established in several developed economies. ADNIC’s adoption of a similar system makes it a regional pioneer in incorporating international best practice in its delivery of leading-edge insurance services and will provide an additional tool for managing credit risk exposure.